The University of Toronto is taking heat for studying homeopathy in children with ADHD. For those of you not familiar with homeopathy, it is the practice of treating patients “with diluted natural substances aimed at stimulating the body’s healing systems” (this definition is from the paper used as the pilot study for the clinical trial we are discussing). The more dilute a substance, the stronger it becomes. Homeopathy also seems to suggest practitioners use what they think is best based on what sounds like an assessment of humors and symptoms, so there isn’t a lot of standardization. The vagueness of medication selection and “healing systems” aside (does that mean immune system and if so which branch?) the medications are often so dilute that they are chemically impossible. For example a 30 c dilution is 1 part in 1,000,000,000,000,000,000,000,000,000,000. This is not biologically possible. There is a nice run down here at Quackwatch, but basically what a homeopath calls medication we call expensive water (and studies tell us that expensive placebos work better than cheap ones). Does the condition merit studying? What is the expectation based on previous research/biology that this drug could work? Is the study appropriately designed to answer the research question? What is the side effect profile of the drug? Vulnerable populations get an even closer scrutiny, for example pregnant women, prisoners, and children. 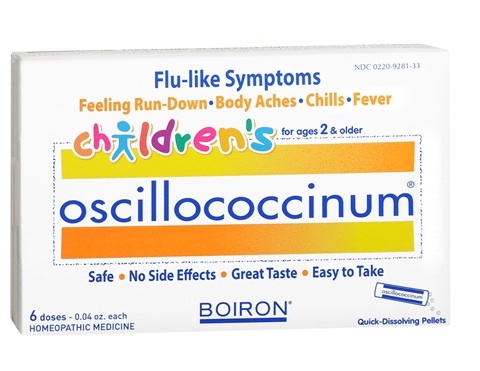 The homeopathic remedy (study medication) for each patient will be chosen from among the homeopathic medicines manufactured by Boiron Canada and currently approved for sale in Canada by Health Canada. As per classical homeopathy practice, once the most appropriate homeopathic remedy has been chosen, it will be prescribed by the homeopath according to her/his clinical judgment (maximum on a daily basis, 3 times per day, minimum 1 dose (or zero doses on the second consult or later)) with administration instructions given to the parent and patient as appropriate. Water dosing, in which a lactose/sucrose granule remedy is dissolved in 250 ml of water will be used based on the homeopath’s clinical judgment. Only one remedy will be administered at a time. Dosage regimens were at the discretion of the homeopath and ranged from one single dose between consultations to once daily dosing between consultations. Homeopathic remedy potencies were in the centesimal scale and were chosen at the discretion of the homeopath within the range of 6CH and 1M. Phosphorus (9/2), Hyoscyamus niger (8/1), Tuberculinum (6/4), Tarentula hispanica (5/0), Lycopodium clavatum (4/3), Anacardium orientale (4/1), Lachesis muta (4/1), Stramonium (4/1), Veratrum album (4/0), Lac caninum (3/1), Nux vomica (3/1), Pulsatilla (3/1), Belladonna (3/0), Saccharum officinalis (2/1), Calcarea phophorica (2/0), Aconitum (2/0), Aranea ixabola (2/0), Gallicum acidum (2/0), Natrum muriaticum (2/0), Agnus castus (1/0), Agaricus muscarius (1/0), Apis mellifica (1/0), Baryta carbonica (1/0), Bryonia alba (1/0), Bufo rana (1/0), Calcarea carbonica (1/1), Cuprum metallicum (1/1), Ferrum phosphoricum (1/0), Hepar sulphuris calcareum (1/0), Kalium phosphoricum (1/1), Luesinum (1/0), Magnesium carbonica (1/0), Medorrhinum (1/1), Natrum silicata (1/0), Silicea (1/1),Staphysagria (1/0), Sulphur (1/0), Thuja occidentalis (1/0), Veratrum viride (1/0). The dosing, frequency, and choice of a drug is totally at the discretion of the provider. Typically with medication trials one has to state the medication, the dose, and the frequency because one needs to study the drug’s effect. Complete randomness in dosing and frequency (never mind actual drug) can not be accounted for statistically. Not in my wildest dreams could I ever imagine and IRB saying, “Sure do what you think is best, as long as it’s an antibiotic from Roche!” (Boiron even gets a plug on ClinicalTrials.gov, and CAM providers complain about Big Pharma). There is no basic science to support the medications. The pilot study used dilutions of 6CH or less. A 6 CH dilution (CH = C apparently) is 1 in 1,000,000,000,000,000. It hurts my brain to work out a 1M dilution. Regardless, most homeopathic dilutions are not possible in this dimension. Knowing the principles of chemistry how did the IRB approve this? If homeopaths and their defenders crave legitimacy then the first thing they need to do is prove these dilutions can be made, one doesn’t get to skip basic science and proceed to directly to human studies. Did the IRB really accept the more dilute the drug the stronger the medicine? Boiron doesn’t have any kind of regulation standards so the actual contents of the medication are unknown. In my opinion the study is unethical and the IRB at the University of Toronto needs to explain how this study was approved. They can start with the mechanism of action (and “healing systems” better not be one of them) and follow-up with exactly how the cauldrons at Boiron mix up a 6CH dilution. The Dean of the School of Pharmacy has defended the study by claiming people are using homeopathic medications so they should be studied. Some people use witchcraft in healing, but that doesn’t mean we should turn U of T into Hogwarts. The only homeopathy study that should be approved at the University of Toronto (and very appropriate for the School of Pharmacy) is a chemical evaluation of the products sold by Boiron to search for active ingredients. Only $12.99 for 6 doses! Wow. I did a survey on an electronic health record – the subject was nurses’ perceptions of the system before and after implementation. I had to do a LOT more than what you’ve described the U of T’s IRB doing here…..LOTS more…and I wasn’t giving anyone medication — just asking what they thought. And I did get IRB approval. I’m there with you, Jen — I can’t see how any IRB could approve this. Or…forget IRB — how any department chair would — or how any healthcare professional with any knowledge of basic human subject research would not be too embarrassed to ASK if they could do this ‘study’. (Quotation marks intentional: I can’t see that they is anything here that meets the definition that I understand is a ‘study’)……and look at that!! :: my definition of a study is the same as yours!!!!! “The Dean of the School of Pharmacy has defended the study by claiming people are using homeopathic medications so they should be studied. Some people use witchcraft in healing, but that doesn’t mean we should turn U of T into Hogwarts. So, following the backwards logic of homeopathy, does that mean giving it less frequently also equals more potency? That a sicker person would get one dose vs tds for the less unwell? Talk about baffling them with BS.. I think this is part of an increasingly worrying trend whereby ‘alternative medicine’ positions itself as being mainstream. “Look at all the clinical trials” practitioners will say, ignoring the fundamental flaws in these studies. I think Ben Goldacre’s put down of homeopathy as a ‘voluntary tax on the scientifically illiterate’ is great when dealing with adults. When this snake oil is pushed to worried parents and then given to children then the glib response is lacking in potency. In my opinion, homeopathy is the perfect placebo (if the “drug” is diluted enough). Wonder what the control group will be receiving by way of treatment? What kind of psychotherapy might be involved? It is just amazing that the IRB approved this approach. But homeopathy (i.e., nothing) might be better than some of the medications being used. Thank you for sharing your perspective. As always, incisive and clearly argued. Homeopathy is counterintuitive to our understanding of medicine. And yet many say it works. How will we know if we don’t study it? I am a family physician, with a trusted colleague fellowship trained in integrative medicine who is now studying homeopathy. Anecdotally, she is finding good response in the friends and family she is treating with her new skills as health issues arise–and has found herself surprised with the efficacy. Placebo or real? Natural healing or facilitated healing? Based on her reports of positive experiences, a rigorous test of a population’s response to homeopathic treatments does not seem unethical to me–as long as the people on the IRB who approved it believe that homeopathic treatments may be effective, and are asking the question in good faith–with the trial constructed with true equipoise. It sounds as if you believe a priori that homeopathy doesn’t work, and so therefore any study asking if it does would, by definition, be unethical, because offering homeopathic remedies in place of pharmaceuticals would be, at baseline, unethical because it would be depriving people of more effective remedies. But how effective and safe are pharmaceutical treatments for ADHD in kids? And if the very idea of supporting a trial of homeopathy is repellant, then how would we ever answer, in a conclusive way, if homeopathy may be effective? Yes, as do all scientifically literate people. This is one of the very few areas of “treatment” about which it’s quite safe to say that there is no effect beyond placebo. We are, after all, talking about substances diluted to nothingness. Ask yourself which is more likely: a) that absolutely everything we know about chemistry, physics, pharmacology, biology, and several other fields besides is absolutely incorrect (not just 2+2=4.01 levels of incorrect, but 2+2=”a moldy piece of cheese” incorrect), or b) your friend is eliciting placebo responses, colored by a hell of a lot of confirmation bias? As above, I believe that homeopathy can work as a placebo. The placebo effect is often half (or more) as effective as any given pharmaceutical medication, and so it probably does often “work.” There have been many studies on the placebo effect. Moreover, a placebo is likely to be less harmful than a pharmaceutical if the latter has adverse side-effects. Still, it will be very important to have good controls (with and without a placebo) for these trials. There is a large body of clinical evidence in support of Homeopathy including In Vitro etc. To suggest it is not worthy of further study is ridiculous. The only rational response to this trial is to fully support it and await its findings. To suggest that just because they are doing the trial gives credibility to Homeopathy is nonsense. Surely the results of the trial will determine such. This is where the rational debate crumbles. Linde, K., et al., Are the clinical effects of homoeopathy placebo effects? A meta-analysis of placebo-controlled trials. The Lancet, 1997. 350(9081): p. 834-843. The following trial was a small small size, this does not dismiss its findings. That is science in action. Uh, yeah. You’ve read the large meta analysis from this month that says the exact opposite? If they actually taught study design and statistics in homeopathy school then you would all learn how to A) do studies and B) how to interpret them, however, I guess the focus is more on how to charge large amounts of money for water. You assume that I am a Homeopath or associated? I have no allegiance but to honesty and truth. Why is it necessary to lump people into categories as if this is a war? If this is about science let the science speak. Science would never suggest something is settled or that no further study is necessary. I am wondering why you seem to need prejudice in your opinion? Surly one cannot address a topic rationally with such a mind set. You seem to promote in your comment that Homeopaths are the only ones doing trials on Homeopathy, that they need to learn to “A) do studies and B) how to interpret them”. If you know this topic so well to have such a concrete opinion, you would know that there are many people testing homeopathy. Not all are homeopaths or affiliated. Turning water into large amounts of money? If the waters structure conveys an effect it is not “just water”. Even if homeopathy was just placebo, what is the difference in turning placebo chemical drugs into large amounts of money? As we may know most drugs dont work on most people. And hundreads of thousands die each year because of mainstream drugs and medical care. Could you write a blog post on that discrepancy? That would be interesting. If one researches the effects of succussion on the structure of water one would know that water is not “just water”. Its structure can change. The In Vitro studies show that ultra high dilutions are not inert. “Succussed “solutes, …….guest molecules in an aqueous host solution, will cause structural changes in water that can be detected spectrographically, changes that can be detected in serial dilutions beyond theoretical mole limits, such as those used in homeopathy. Yes I have seen the latest review. It is only a review. It is a statistical set of calculations. It relies on the research teams editing and as such is open to interpretation and bias. It did not replicate or test anything other that the data already available. Are the In vitro trials are included in that review? Whats more the head of that team for the NHMRC CEO Prof Anderson was haled up over conflict of interest issues regarding another review last year… thats an interesting indicator. Are we so sure that new paper is completely free of bias? Only a homeopath would defend homeopathy and Prince Charles. What you’ve written is pretty funny. I am not a homeopath and I dont care what Prince Charles does. Any topic needs clear and fare representations of both side of the issue. Those that conduct clinical trials on homeopathy dont need to be homeopaths or believe in homeopathy. The point of science is to suspend personal bias. There is a huge body of scientific research indicating Homeopathy is more than placebo and succussed high dilutes are distinct from pure water. This research calls for more research to be conducted. I am not sure why such a reasonable outlook would be funny. I am not sure why you and others are so closed minded about these things. In the field of human health, a closed mind is not wise… in fact it can be deadly. It is amazing how much we have learned over the past two centuries about biology, chemistry and physics, and what we are able to accomplish with biomedicine to keep us healthy. Still, there is a lot that we don’t currently understand. It feels like hubris to say we already know everything there is to know, that our worldview is the final worldview, and that it would be unethical to explore the efficacy of therapies that challenge our viewpoint. I think it is no accident that biomedical training is weakest in lymphatics– essentially the flows of extracellular fluids. Cardiologists look at the structure of hearts. Endocrinologists look at hormone chemical communication in the blood. Perhaps a lymphologist would look at energy currents (not a term currently in use with biomedicine) produced by fluid flow. Do the currents lead to subtle shifts in body energies? Do subtle changes in the components of the fluid change how the fluid flows? Who knows. Not I. I appreciate large scale clinical trials to explore these questions. I appreciate the scientific approach. I think our understanding of how the body works will continue to evolve. A meta-analysis of small trials only tells us statistical variation between underpowered studies. Excellent summation… Yes the very subtle actions of the body are very interesting. It is only recently that the gut brain connection has been getting more attention. So strange that that connection wasn’t investigated sooner. An open label trial, really? So ok lets replicate that trial under stricter controls, or use a larger sample size. lets let science not opinion lead us forward please. There are millions of people that get fully treated with homeopathy including me and my own family. University of Toronto is just supporting the truth. Studies do not support that anyone is treated effectively for anything with homeopathy. The fact that the “medicine” isn’t possible to make and obey the laws of chemistry should concern you for starters. Why are high dilutes shown via In Vitro trials to be distinctly different than plain water then Dr Jen Gunter? Might this difference, a difference you have yet to acknowledge, support or potentiate a medicinal property inherent within or as the high dilute?